Stephen McGuinness; Niall Cooney, Dave Webster, Adam Mitchell, Robert Maloney; Dean Zambra, Graham Kelly, David Cassidy, Shane Byrne (Michael Brown 86’); Ismahil Akinade, David Scully (Shane O’Neill 81’). Brendan Clarke; Ger O'Brien (Conor McCormack 45’), Kenny Browne, Sean Hoare, Ian Bermingham; Conan Byrne, James Chambers, Lee Lynch, Keith Fahey (Mark Quigley 81’), Daryl Kavanagh (Chris Forrester 45’); Christy Fagan. St Patrick's Athletic put the disappointment of Friday's defeat behind them as they returned to winning ways in the SEE Airtricity League with a comfortable 3-1 win over Bray Wanderers at the Carlisle Grounds. 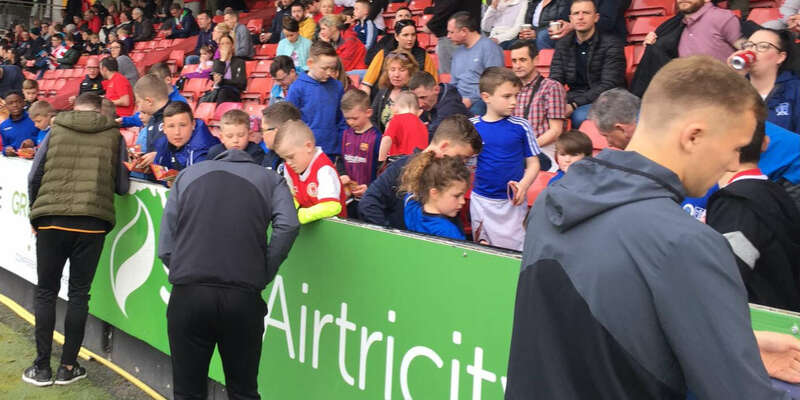 After a scrappy opening half-hour, the visitors assumed control as Keith Fahey orchestrated proceedings from midfield, with Christy Fagan and Lee Lynch scoring either side of the break. Pat's were strolling to three points but were pegged back with ten minutes remaining when, out of nothing, David Cassidy pulled one back for Alan Mathews' side. A late rally from the hosts failed to materialise, however, as Pat's, who were rarely troubled throughout, ensured there would be no slip-up as Chris Forrester wrapped up the points with a sweet strike in injury time. 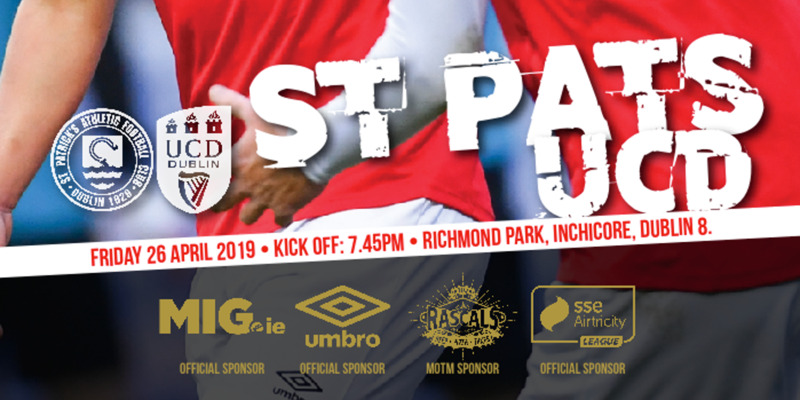 Victory, just their second of the campaign, moves Pat's to within four points of early pacesetters Cork City, albeit having played a game more. Liam Buckley opted to make full use of his squad, following a quick turnaround from the reversal to Dundalk, as he made six changes in personnel. With the suspended duo of Killian Brennan and Greg Bolger forced to watch from afar, James Chambers and Lee Lynch were afforded opportunities in midfield. Both had early sights of goal either side of Graham Kelly's crisp free-kick for the hosts as Brendan Clarke's handling was tested on a chilly evening. It was, however, the hosts who came close to breaking the deadlock on 14 minutes. Dave Scully, utilised on the right flank, got the better of Ian Bermingham but dragged his daisy-cutter narrowly wide of Clarke's upright. Bray's game plan was conspicuous. They were content to congest the midfield area and hit the visitors on the break and a rare period of sustained pressure on the Pat's area nearly paid dividends. Kelly sent in a succession of dangerous corners, but again Scully couldn't hit the target, this time his header sailed harmlessly wide. As the half wore on, the Saints began to dominate possession and get a foothold. Fahey sat deep and was at the centre of proceedings, dictating the tempo and conducting those in front of him. For the majority of the first half hour, Bray managed to suppress his influence and Pat's were impotent. Fahey soon penetrated the rigid Seagulls rearguard with a perfectly-weighted ball for Lynch, who drew the keeper off his line before squaring for the unmarked Fagan. Dave Webster did brilliantly, however, to make up the ground and intercept with the striker waiting to pounce. From the resulting corner, Lynch's close-range drive was bravely blocked by David Cassidy. Pat's were turning the screw and had Bray penned inside their own half with Ismahil Akinade outnumbered and outmuscled in the lone striker role. The breakthrough that the visitors' play had merited duly arrived just before the interval. The right flank was proving to be a productive avenue with Ger O'Brien giving support to Byrne, and it was the latter's centre, after finding a pocket of space, that picked out Fagan at the back post. It was to be O'Brien's last involvement as he hobbled off with what appeared to be a groin problem moments before Neil Doyle blew his half-time whistle. Forrester was introduced at the start of the second period for Daryl Kavanagh and the substitute made an instant impact. His ball down the side of the Seagulls defence set the advancing Lynch free, and he had the presence to compose himself before sliding past McGuinness from 12 yards. Akinade looked to spark an unlikely comeback for the hosts with an opportunistic effort shortly after, but his powerful drive was straight at the largely redundant Clarke. It was a brief repose as Pat's continued to boss the game on front of a healthy travelling contingent. Those who made the short trip to the seaside thought they had another goal to celebrate with 20 minutes remaining but Dean Zambra was on hand to clear Chambers' goalbound effort after Bray failed to clear a corner. 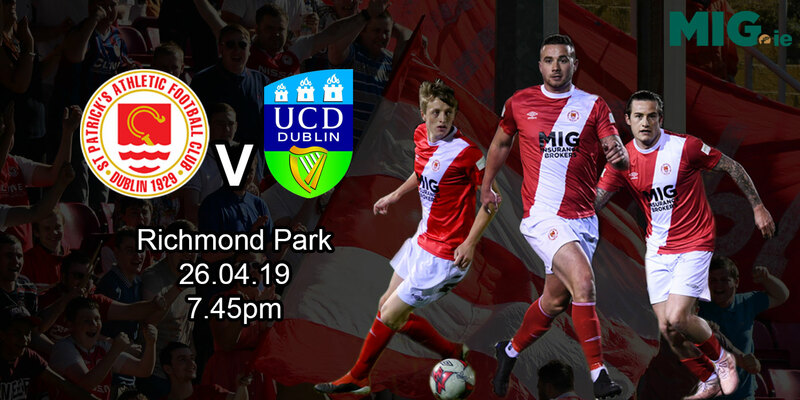 The visitors may have been left to regret not extending their advantage when they were in the ascendancy as a rare second-half attack from Bray gave them hope of snatching something from a game they were never really in. Cassidy was left unmarked on the edge of the area and he guided Byrne's low corner past Clarke from 14 yards. Any hopes the home fans had of inflicting more woe on the champions were quickly dispelled despite Cassidy going close with a curling free-kick with a couple of minutes of the 90 remaining. Fagan broke down the left and after assessing his options, picked out the on-rushing Forrester who needed no second invitation to drill low past McGuinness and ensure all three points headed back to Inchicore.